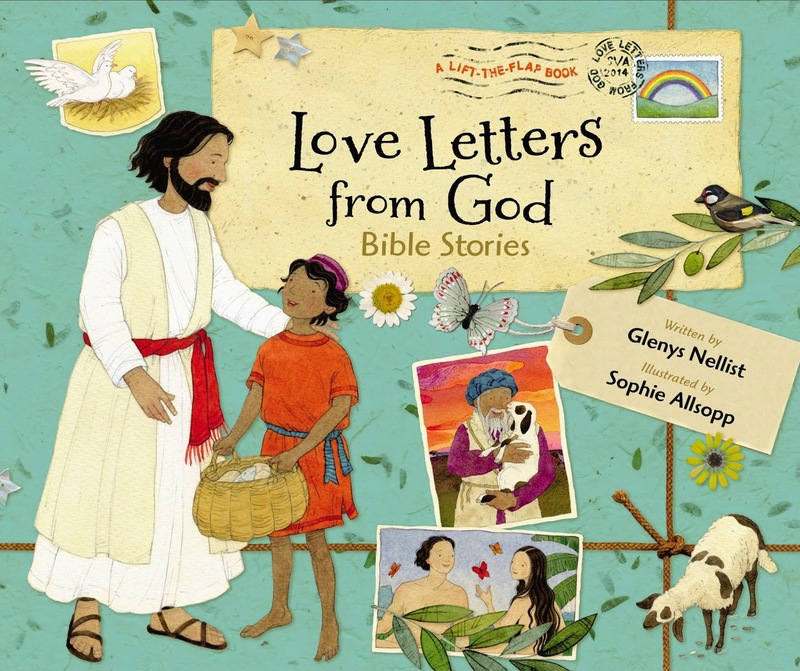 I received a free hardcover copy of "Love Letters from God Bible Stories" by Glenys Nellist from Zonderkidz in order for me to review it. "Love Letters from God" is a cute book with bright colorful illustrations. Sophie Allsop did a great job with the illustrations and even the background of the pages fit the story. There are 19 Bible stories retold for kids. Each story also has a "love letter from God" that the child can lift the top and read the letter "from God" that goes along with the story. The letters start with "Dear ________" and you can write the child's name on the line to further personalize the book. There is also a "God's Wonderful Words to You" that includes a Bible verse that reinforces the theme of the story. I really liked how the stories were given non-traditional titles. So instead of "Jonah and the Whale" it is "The Very Smelly Belly". The more traditional title and where it is found in the Bible are also included. I was a little disappointed in the weakness of how the issue of sin is covered. There is a mention of Adam and Eve disobeying God and that God "will not remember your sins anymore", but it isn't covered well in the story of Noah that God was "cleaning" the earth of the sinful people or that Jesus died on the cross for our sins and not just that the people hated Him. The Invitation on the last page invites kids to "join Jesus' team" but doesn't really cover what that means. I would recommend this book as long as you reinforce those parts that are weaker. We're getting down to the end now! They put in the doors to the main part of the church! The dedication for the Fellowship Hall is on Sunday! It will be exciting when we can start using it!